Each year, I seem to go back and forth about whether or not to send a winter break packet with my students over winter break. Ultimately, I always decide to send something for a few reasons: 1.) I always have a handful of students who specifically ask for a packet and 2.) The majority of my students do not go on vacation and most don’t have things to occupy their time. Keeping these reasons in mind, I do a “no obligation” winter break packet each year and many of my students complete it. To keep the packet engaging, I always like to mix some “fun activities” in with the academic based activities. These activities are still skill based but on a lower academic level that is less threatening for the students. 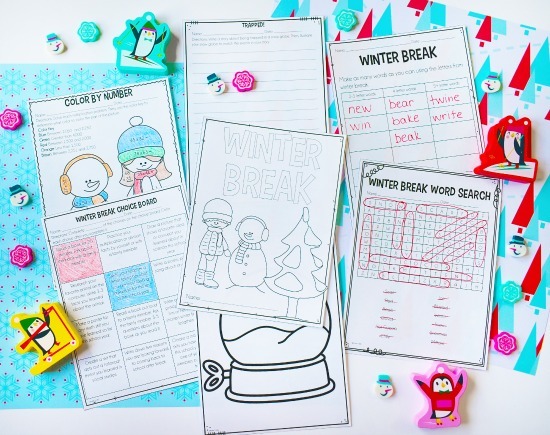 This “fun” winter break packet includes a variety of printables such as a word search, a making words printable, and a color by number multiplication practice page. This choice board printable is one of my favorites. Honestly, you could just send this one choice board home with your students. This would be perfect for teachers who are limited on copies or really don’t want to fuss with a complete packet. It has a variety of different tasks for the students to choose from so they are bound to find something engaging to work on during break. I kept the directions generic and left a blank so you could write a minimum choice requirement if you wanted to do so. 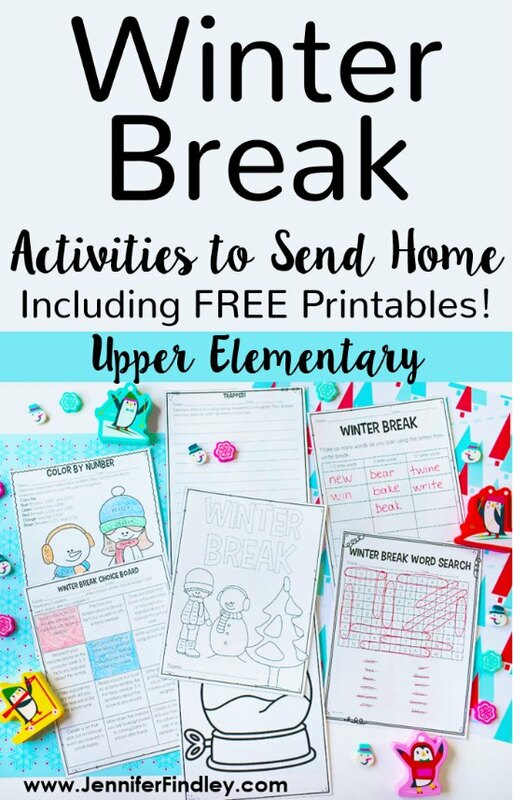 If you are interested in sending the FREE Winter Break “Fun” Packet from the first home with your students over break, click HERE to download it. 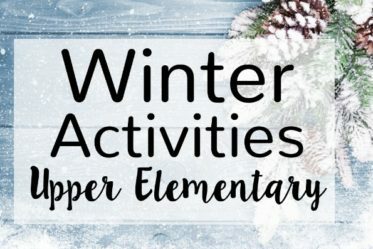 In addition to the above activities, I sometimes (depending on my students) like to include a few academic activities in the students’ winter break packet. I pull resources from my Winter-themed resources for reading and math. I always send home at least one reading passage because the majority of my students don’t have a library of books at home and many enjoy reading the passages I send home. The passages included in my Winter Reading Comprehension Resource that I send home over winter break have engaging winter themed topics and a variety of genres. I also include a few text dependent printables with the passages. 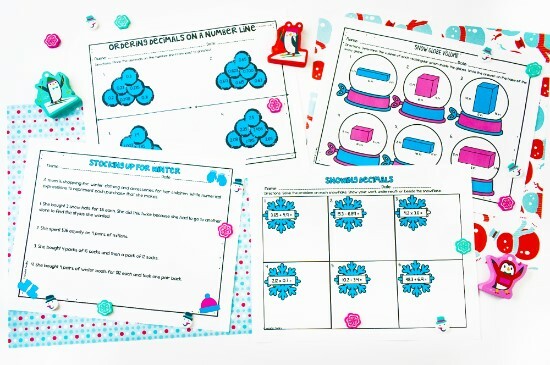 For math, I pull a few printables from my Winter Math Resources (click here to see 4th grade and click here to see 5th grade). 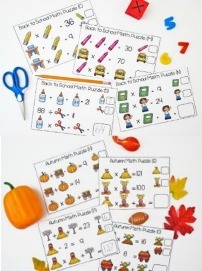 Each set contains 20 printables that cover a wide variety of skills. We do several in class for morning work or even some as homework over the winter season and I like to send a few home over break as well. 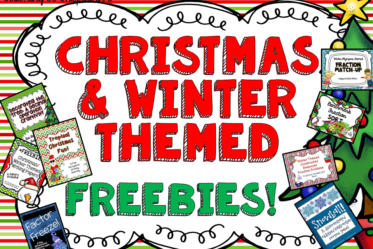 The printables are all winter themed and include winter graphics that the students enjoy coloring. Most of my students choose to color these printables during recess or on their own time at home. 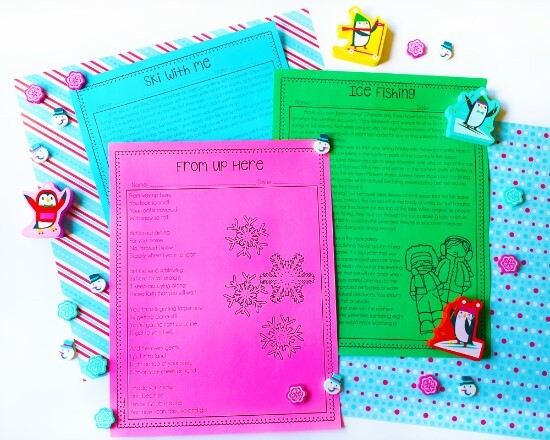 Since they enjoy completing these so much in class, they love seeing these printables included in their winter packet. As far as accountability is concerned, I do offer a small incentive for students who return a completed pack (I don’t check for accuracy – just effort). In the past, I have let them choose something from the treasure box, eat lunch with a friend in the classroom with me, or have some type of fun Friday with 15-20 minutes of free time- I usually partner up with another teacher for this one. One of us takes the students outside or to the gym for their “fun free time” while the other stays with the other students and completes a review activity or something of that nature. If you are interested in the academic resources featured in this pack, click here or on the specific links shared above. 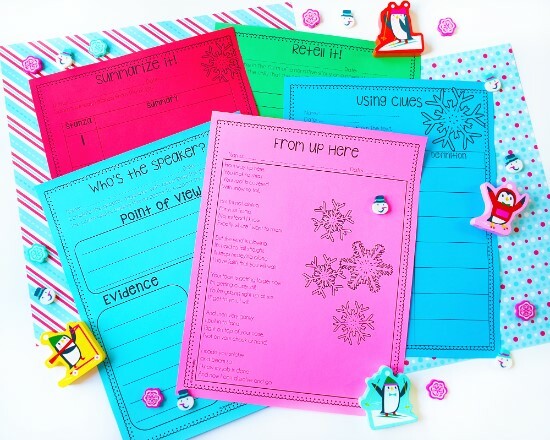 Do you send home a winter break packet with your students? If so, is it mostly academic or is it fun printables? Let me know in the comments. I always love hearing what other teachers do in their classroom. This is great! Thank you for another wonderful life saver! Wonderful activities. LOVE the choice board. TTTTHHHHHAAANNNK YOU!!!!!!!!! This was RIGHT IN TIME!!! Thank you! I usually send home a Winter optional Packet, but mine has become stale and outdated. I was so happy to get some fresh ideas!